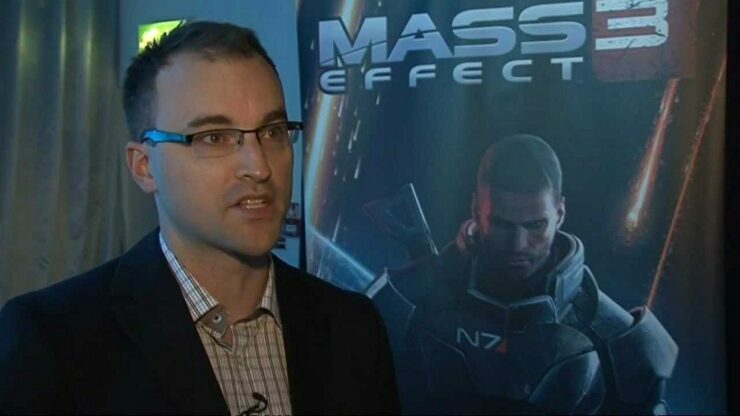 In July 2017, Aaryn Flynn announced that he would be stepping down from the role of Bioware General Manager, replaced by Casey Hudson. Flynn, who began his career at Bioware as a programmer on games like Baldur’s Gate II and Neverwinter Nights, has recently joined Improbable (which will be opening a new office in Edmonton, Canada, spearheaded by Flynn himself) after being impressed with the company’s SpatialOS cloud technology. I’m a programmer by training, so I got my hands a little bit dirty in messing around with SpatialOS and was impressed with what it could do. It’s where I think the industry’s moving towards: larger, more persistent, deeper, more complex simulations of worlds. I’ve always wanted to build those kinds of things, and I’ve always been jealous that I didn’t get the chance to do them. So I’m really keen to understand that better, build tools to do that better, and to help others do that, too. It’s a really difficult problem to solve. I think the landscape you’re trying to solve it in is also moving all the time. Collectively, it just represents a really wicked problem that needs a lot of smart people working together to present a solution in the industry that resonates. And I think SpatialOS is that solution. We’ve got some work to do with Spatial to really make it sing for other developers, and that’s what I want to focus on: tools and representative content to help them understand what’s possible. SpatialOS works right now, but making it easier and more accessible is critical. Nobody knew they needed battle royale until someone made a battle royale game, right? So I think there’s an element of that. But by the same token, to really make it work for other developers, we’ve got to make it butter smooth and near perfect. So there’s work to do there. Improbable recently got a $50 million investment by NetEase, which had previously invested double as much in Bungie to fund the creation of new online experiences. It doesn’t seem too much of a stretch to imagine that this unknown project from Bungie could be powered by Improbable’s SpatialOS cloud technology.